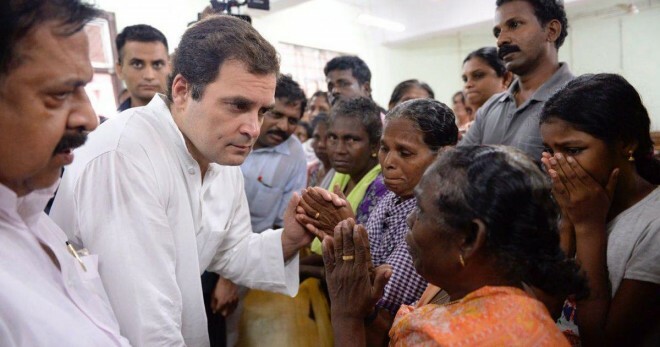 Kerala, Mar 31: Ending all the speculations, Kerala Congress leader A K Antony on Sunday morning confirmed that Rahul Gandhi has given his consent to contest from Wayand, Kerala besides Amethi. Earlier, the BJP has scoffed at Gandhi's plan and interpreted it as a sign of nervousness and an attempt to move away from Amethi, where the saffron party has pitched Union Minister Smriti Irani against him for the second time. "Why did Modi ji leave Gujarat and contest from Varanasi? Was he not confident in Gujarat? These are immature and childish comments. She (Smriti Irani) will complete a hat-trick of losses." The decision to contest from the second seat emerged after the Congress Working Committee met for discussions. According to party leaders, they feel Rahul's candidacy would increase Congress's prospects in that region. Even DMK leader MK Stalin requested Gandhi to contest in Tamil Nadu. Kerala and Karnataka are seen as the strongest options for Rahul Gandhi for now. Some leaders said the Wayanad seat was offered to Congress chief after senior party leader Ramesh Chennithala and former Chief Minister Oommen Chandy could not come to an agreement on who should be fielded from there.